Phil Zanghi of Debonaire Cigars reacquired the Indian Tabac trademark in 2014, a brand he created in the early 90’s, but later sold to Rocky Patel after a brief partnership. 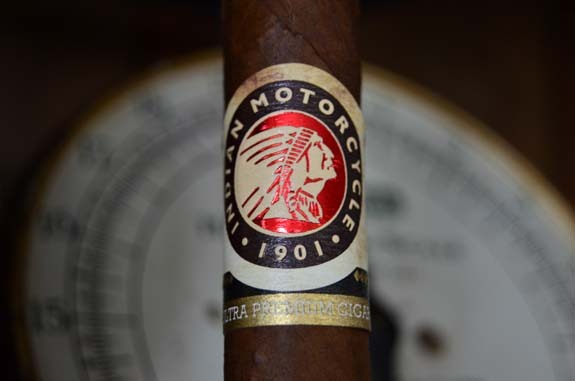 But instead of re-launching Indian Tabac as many expected, Phil Zanghi created Indian Motorcycle Ultra Premium Cigars in partnership with Polaris who currently owns the Indian Motorcycle trademark. The cigars were showcased at the 2015 IPCPR Trade Show. Manufactured at the Del Los Reyes factory in the Dominican Republic and distributed by Drew Estate, Indian Motorcycle Ultra Premium cigars are available in two wrapper options: Habano and Maduro. 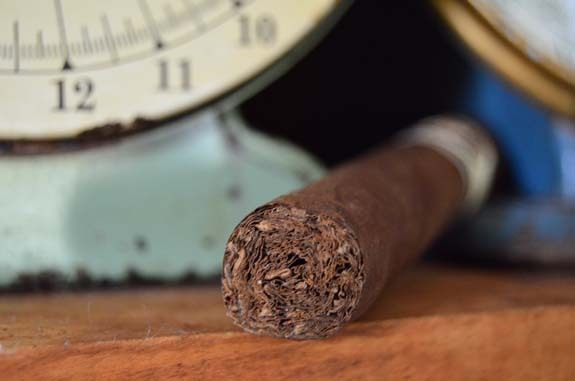 The Habano utilizes a Ecuadorian Habano wrapper, while Maduro sports a Connecticut Broadleaf. Both options share the same internals with a Dominican binder and Dominican and Centeral American filler tobaccos. The cigars are produced in four vitolas: Robusto (5 by 50), Toro (6 by 52), Churchill (7 by 52), and Gordo (6 by 58). The dark brown Habano wrapper in rustic in appearance with tons of veins and bumps, which is very fitting considering the dated packaging look. Sugar-like crystals glisten on the leaf and oils are easily felt on my fingers. Bringing the cigar to my nose, I pick up on a sweet woodsy flavor and a faint pungency on the wrapper. A sweet pumpkin spice, pepper, caramel, and cedar comes across on the foot of the cigar. Clipping through the bumpy cap opens up a beautiful draw that brings forth cinnamon, rich cedar, and leather. The flavors start out really mellow with some earth, grass, cedar, and a very mild pepper. After a couple of puffs, a dusty cinnamon and pencil shavings develop and the profile picks up in flavors and spice. There is an intriguing sweet citrus quality that is peaking through. Both the flavors and finish are very clean. 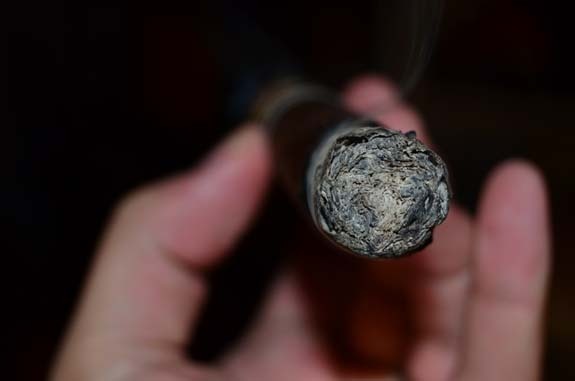 A dark gray ash is being formed as the Indian Motorcycle Habano burns exceptionally well. Arriving in the second third, the flavors remain consistent with the prior third, but with more body and spice and the addition of a fruitiness. A spice heat lingers at the back of my throat, but the finish remains short and clean. The burn is now a little wild, but I am refusing to break out the lighter for the time being. I am still hoping it will self-correct. 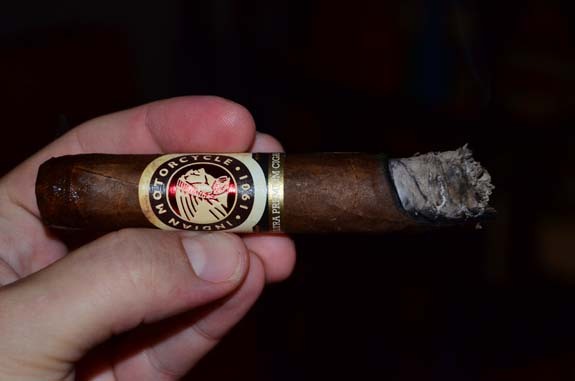 An earthiness gains ground in the profile as I approach the middle of the cigar, with the sweet citrus mostly gone and a new sweetness tied to the woodsy flavor arriving. A quick touch-up is required as I make my way into the final third of the Indian Motorcycle Habano Toro. With the flavors being mild at the start and building to medium, I am a bit caught off guard by the strength I am beginning to feel. The profile is now earthy and leathery accompanied by some richness and the sweet citrus has reappeared. For over a year, I have been trying to get my hands on the Indian Motorcycle Ultra Premium cigars. During a day trip to Appleton, WI two weeks ago, I stumbled up on it at Appleton Souvenir and Cigar Co. and couldn’t be happier that I did. 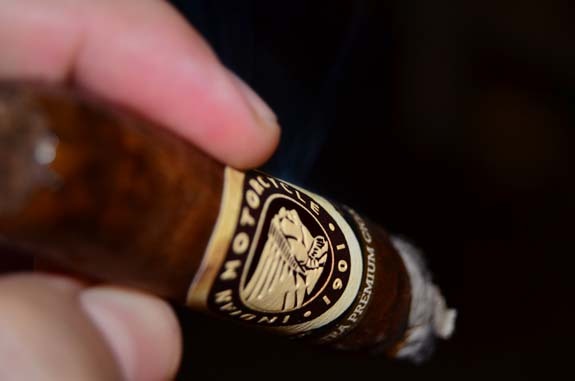 The Indian Motorcycle Habano Toro presented refined flavors that were both balanced and complex. 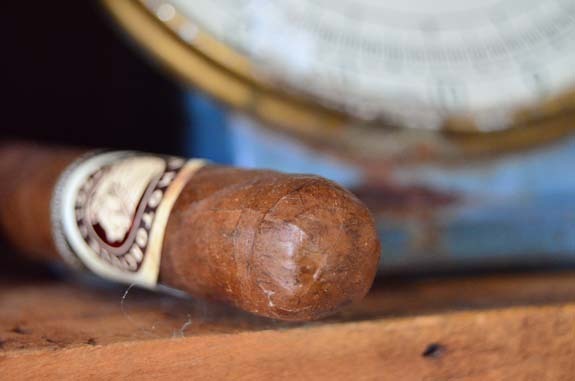 The way the cigar built from mild to the high-side of medium, a bit of strength, and the intriguing sweet citrus captivated me from start to finish. 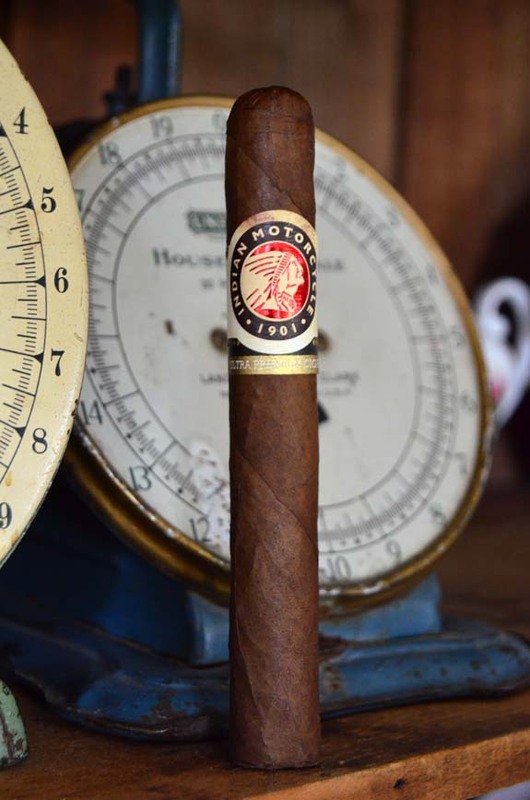 For the price, the Indian Motorcycle Habano is worthy of a spot in the weekly rotation. Now I am upset that I didn’t snag a few of the Maduros when I was in Appleton.